We have spent man an hour trying to turn our heads all the way around. Not like in the Exorcist. No, more like the fluffy owls we see perched in the woods. Their cute little beaks tucked into their puffed out chests. Their eyes staying on us until we leave their area, following us all the way around without moving their bodies. So cool! 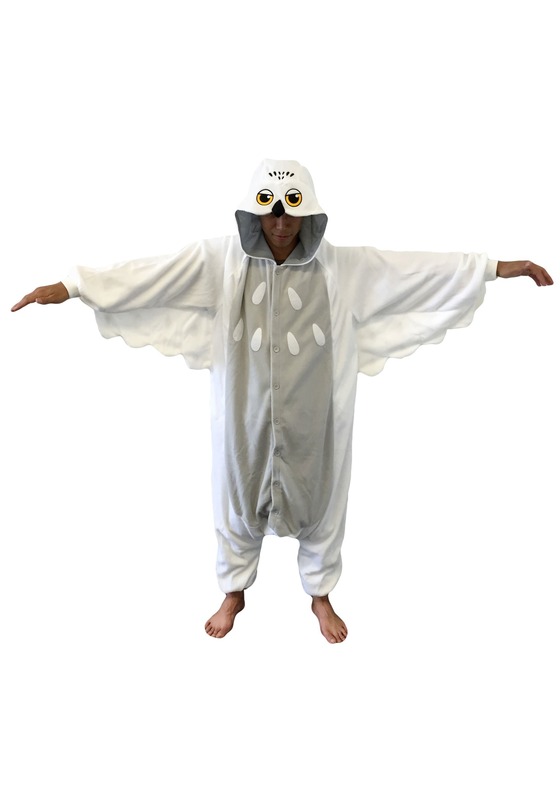 We’ve also felt another kind of kinship with the pretty white owls we see, their ability to sleep during the day…or so we thought. 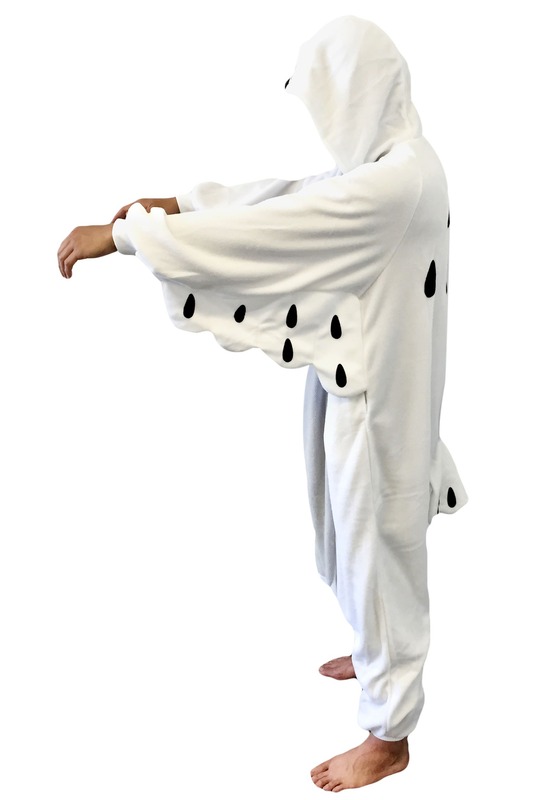 Snowy owls are the exception to the “owls sleep during the day” rule. They are active during the day. Still they are awesome, even if they want to wake with the breaking sunlight. If you are like us, that’s when you want to be crawling into bed after a night of fun. 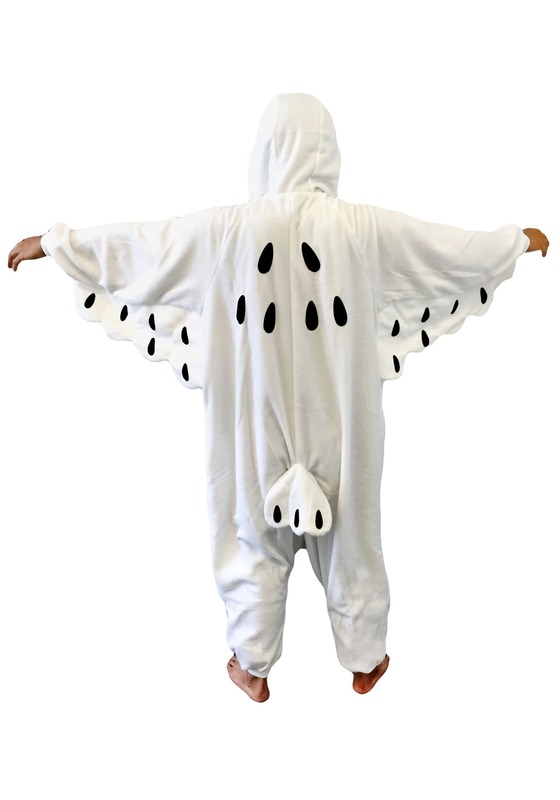 Just because the snowy owl may hunt during the day, doesn’t mean you have to abide by that rule, even when you are wearing this Snowy Owl Pajama Costume. You can party hearty all through the wee hours of the morning, then easily fall into bed. Mostly because you will already be in your pajamas! How great is that. We wish someone had come up with something so awesome years ago. And if you do figure out how to turn your head all the way around without getting hurt, let us know how you did it, we are very interested!